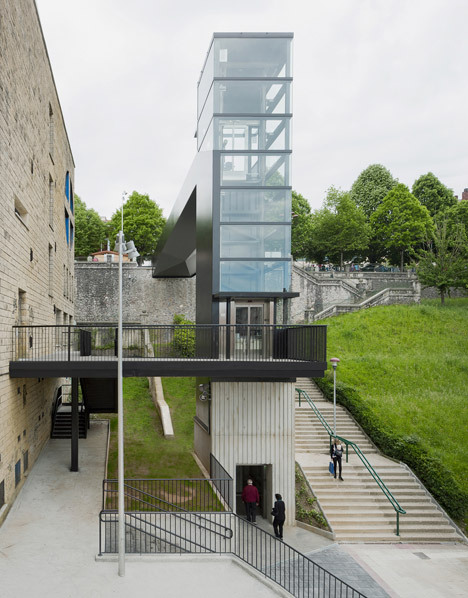 This glass-encased lift and elevated walkway have been developed by architecture studio Vaumm to improve entry amongst the new and historic centres of Spanish town Hernani . 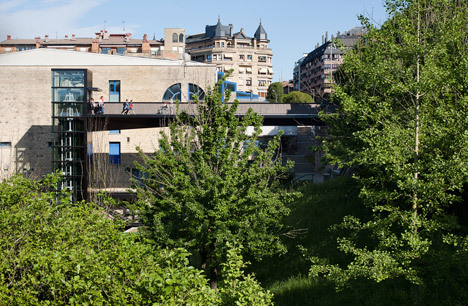 The old and new elements of Hernani’s town centre are separated by a steep grassy bank, dividing the historic centre at the best from a sports complex and a medical centre below. This proved difficult to negotiate for some older residents, so San Sebastian-based Vaumm was commissioned to create a remedy, improving the connection to the newly produced portion of town. 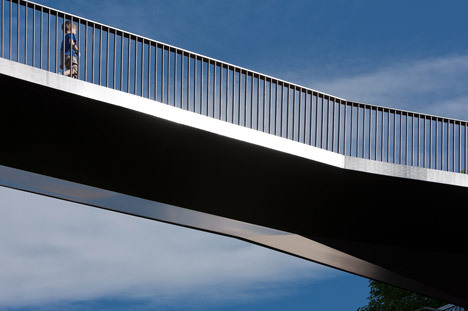 The crew responded with a metal-framed construction incorporating a lift, a staircase and an elevated walkway. 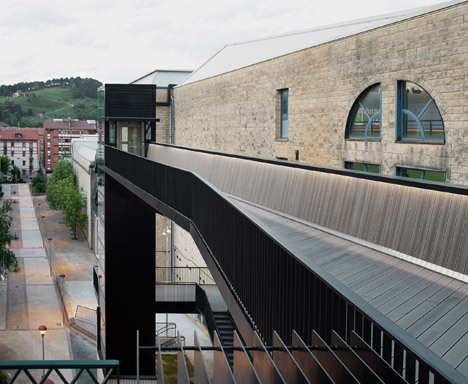 “This new infrastructure – the lift and the footbridge – will increase the accessibility amongst the new developments of the town and the historical and business centre,” architect Iñigo García Odiaga informed Dezeen. 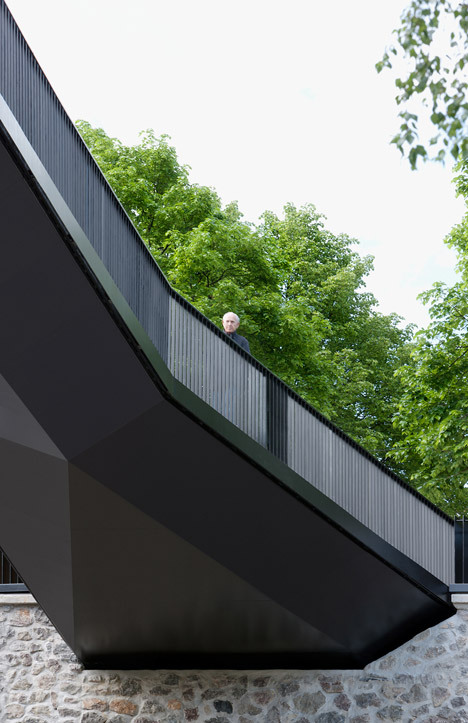 The practice previously created a similar outdoor elevator in the nearby town of Errenteria and, while the structures are the outcome of two distinct tasks, they the two had the aim to supply much better entry to amenities for ageing citizens. “The improvement of accessibility is a recent concern due to the fact of the complicated topography of our territory, and simply because of an ageing population,” explained Odiaga. The town is situated just inland from the sea port of San Sebastian, whose ship-filled harbours influenced the slender steel banisters and framework utilised to enclose the decked walkway and lift shaft. 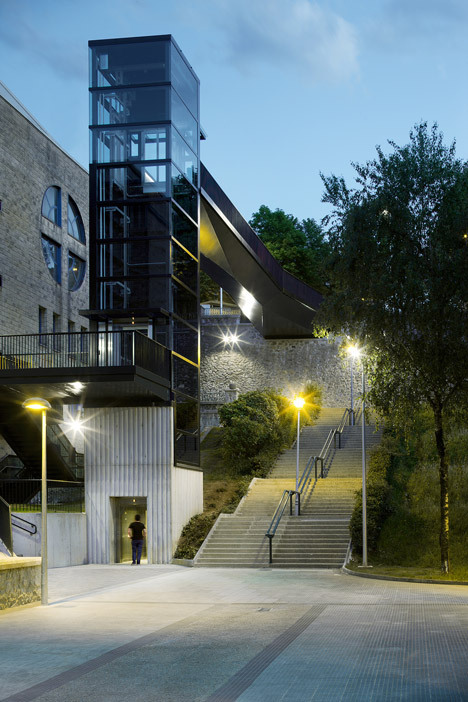 A ridged concrete tower partially embedded into the grassy slope provides entry to the lift. 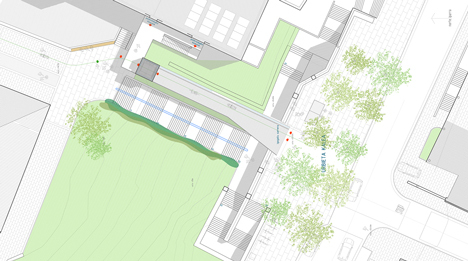 It stops at a midway point under the walkway to link with a secondary bridge that gives access to the sports centre. This area of the bridge shelters the entrance to the lift at ground degree. The elevator has a concrete base, but the rest of the construction is glazed, offering users with views in excess of the urban landscape and into the countryside beyond the town. 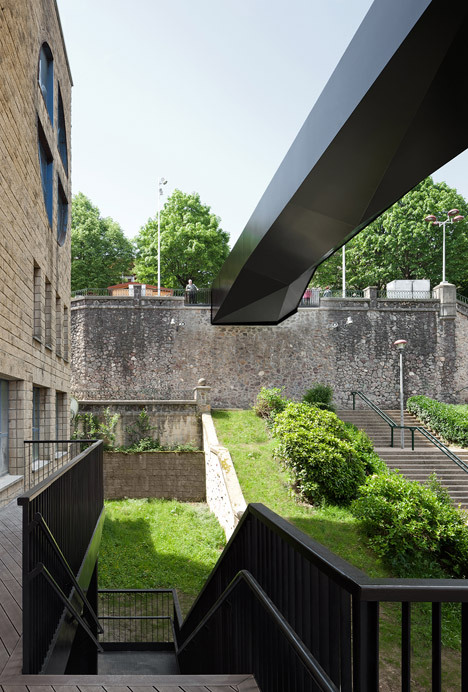 The decked bridge extends out from the elevator tower in excess of the slope, and rests a single finish on an previous stone retaining wall at the top. It widens as it approaches the wall, joining a broad promenade. The intention was to invite passersby to method. 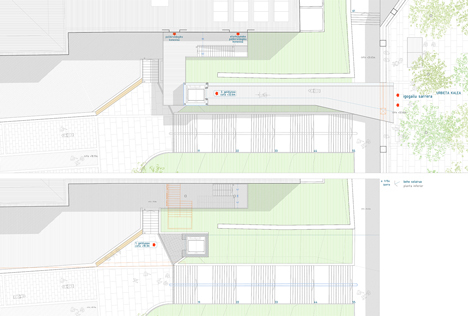 A flight of stairs runs up the slope under the walkway, delivering an different route when the lift is in use. Several urban elevators have been finished in Europe in latest years. 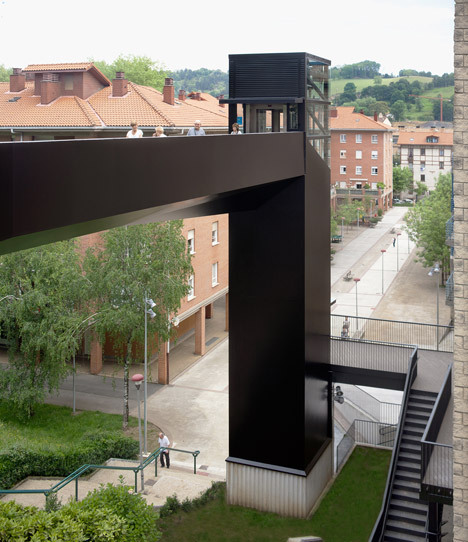 Ah Asociados also recently uncovered one in Spain, on a hillside near Pamplona, whilst Malta studio Architecture Undertaking developed a 60-metre higher lift in the city’s capital in 2013.